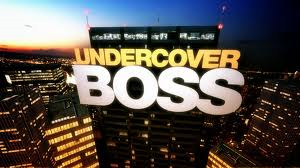 I have decided that I like shows like Undercover Boss and Secret Millionaire because they demonstrate the Catholic economic principles of solidarity and subsidiary. Last Friday my husband and I were watching Undercover Boss and I pointed this out to my husband. He just looked at me and thought, ‘there goes my wife over-thinking again’. I am the type of person who tries to find deep truths in just about everything. That is why if a movie has no plot or moral integrity, I have no desire to watch it. I enjoy some movies just because they are fun, but I tend to think while I watch everything. It is rather Dominican of me. While I like these shows because they show the best of human nature and they always make me cry, in a happy way. These shows show us how to live out Christ’s command to love and serve one another. The Church understands that the bigger a government or business is, the more likely it is for human dignity to fall by the wayside. We become pawns and things get trapped in bureaucratic tape. That is why it is the lowest level of government or management that should take care of a problem. Who better knows the needs of their community than locals? So if a company has gotten too large, they need to start looking at local management for help. This is something that Undercover Boss does with the show. We are also responsible for our neighbor. That is not a cry for Socialism. Regardless of what certain university professors at somewhat Catholic (that’s being generous) insitutions say, the Church has condemned Socialism in all of its forms for over 100 years. The same is true for pure Capitalism. Both systems take away from the dignity of the human person. One takes away human freedom and ingenuity, the other exploits people for profit. 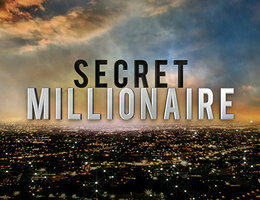 In these two shows wealthy individuals make the decision to share their money with others. In Undercover Boss, the CEO or CFO of a company goes undercover and meets with employees at the lowest level, usually a franchise. They get to know individuals and discover the plights of their employees. Many bosses were shocked to discover that some of their employees were either homeless or struggle with health issues. This is where solidarity comes in. These bosses out of love and charity gave money away to certain people. They came in contact with people in need and chose to help them. There was no coercion. Both of these shows are truly uplifting. Now Undercover Boss does have the occasional CEO from places like Hooters. While I am not a fan of the scantily clad ladies all over the screen, the bosses at least do some good, including addressing sexual harassment. Now if only they would treat their female employees with the dignity and beauty they deserve. That is for another post. The point is that each one of us is called to serve our neighbor within our means. We do not get to say the government will do it, the Church will do it, or charities will do it. We are the Church, for one. Each one of us comes into contact with thousands of people throughout our lives. Christ calls us to serve them as best we can. If I find out someone I know has high hospital bills, I should do what I can to help. If someone needs food, I should get it for them. If someone is begging on the street, I can give them a gift card for food. If the homeless stay in my parish, which they do at mine, then I should serve them and make them feel welcome. They need to see Christ’s love in action, so they too may choose to follow Him. I appreciate that these shows demonstrate to us what charity looks like. We need to remember that it is not just the rich who are called to charity. You and I are called to help those in need as well. Now if only our government could understand? !